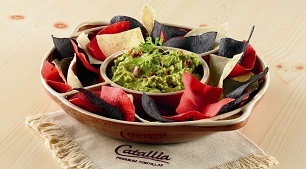 Add a splash of color to your menu with our premium tricolor restaurant-style tortilla chips. 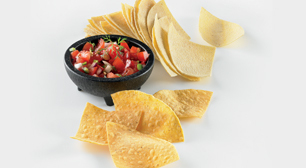 Great for nachos, chips and salsa or to garnish tortilla soup. Master Case Net Weight 25.00 lb. Master Case Gross Weight 26.00 lb. 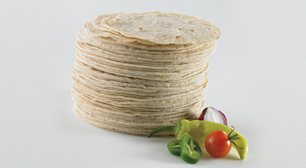 Yellow Corn Flour, White Corn Flour, Water, Contains Less than 2% of Each of the Following: Preservatives (Calcium and Sodium Propionate, Sorbic Acid, Methylparaben, Propylparaben), Lime, Fumaric Acid, Guar Gum. (Red product-Also contains FD&C Red 40. Black product-Also contains FD&C Red 40, FD&C Yellow 6, FD&C Yellow 5, and FD&C Blue 1.